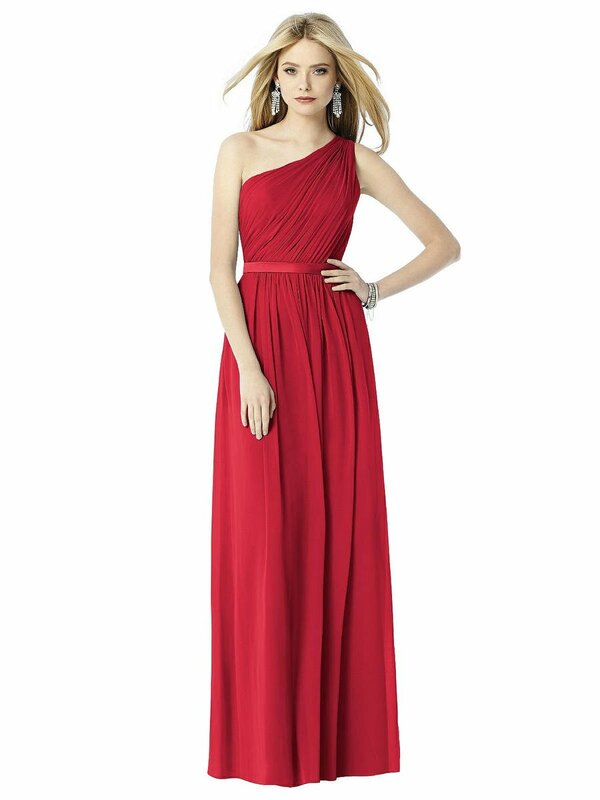 Full length one shoulder lux chiffon dress has matching matte satin belt at natural waist. Shirred skirt with center front slit. 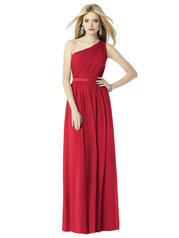 Sizes 00-30W or 00-30W extra length.